Access to exclusive digital content such as videos, audio, and photos. Access to exclusive contests and campaigns. Exclusive updates straight to your inbox. - Early entry into venue *when and where available. 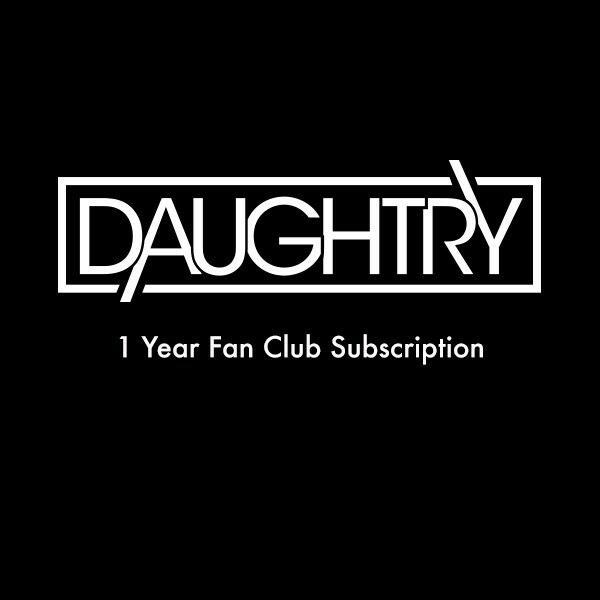 - Official Daughtry fan club member laminate. **Fan-club ticket/VIP pre-sales are not available for all tour dates. When there is a fan-club presale, concert tickets/VIPs are purchasable on a first-come first-serve basis and are not guaranteed. When a code is needed for an upcoming presale, it will be posted in your Account Dashboard up to 10 minutes prior to that presale.